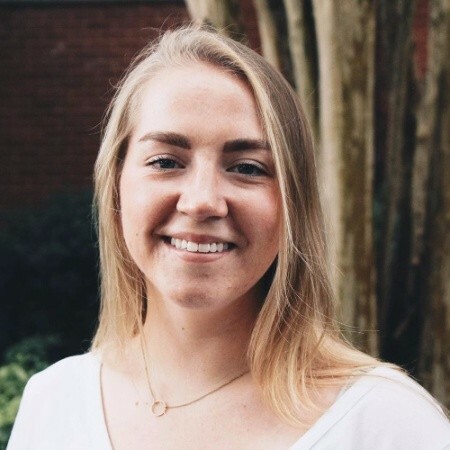 Claire Neiland is a senior Psychology major with a Public Health minor at Georgia College. Last semester, Fall 2018, she was taking her senior seminar class where she was pushed to succeed. In her class, the Career Center came to speak about the All Industry Career & Internship Expo, as well as other career fairs happening on campus. Their class was informed about all of the opportunities available for students to come into contact with employers. 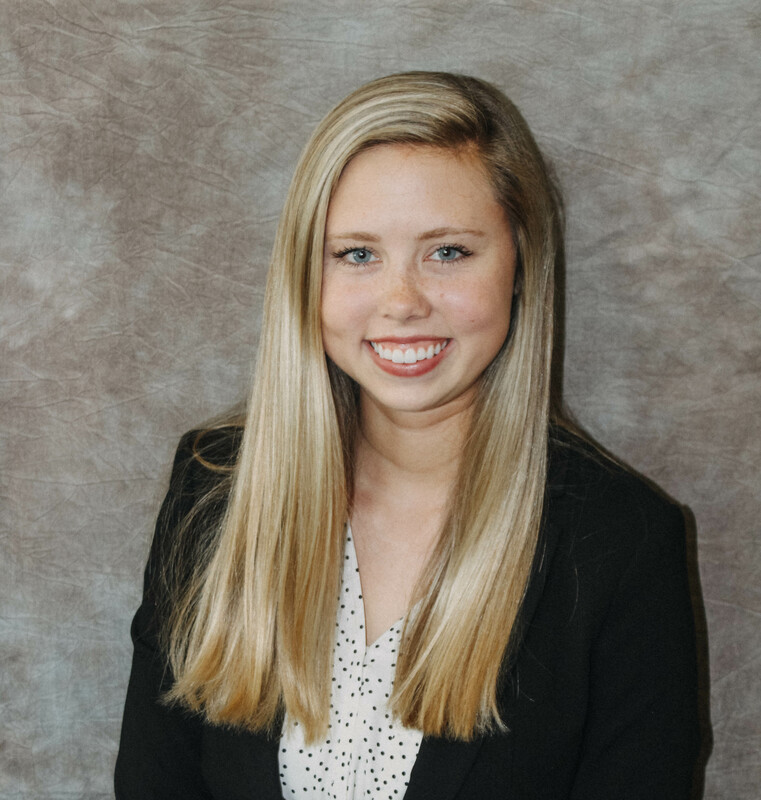 Claire was interested in going to the fall All Industry Career & Internship Expo and took the initiative to prepare for this event which led her to land a job with Insight Global. During this brief interview with Claire, we asked her to share with us how she utilized the career fair successfully and the resources that are available to all students to help you pursue your career. Q: For a student that has never been, what advice would you give them? A: The advice I would give to someone who has never been to the career fair is to prepare with the Career Center before the event and to just feel confident in who you are. There is a lot of pressure behind our future careers, but the companies at the career fair are there to meet you and just have a simple conversation. Just be yourself and don’t put too much pressure on yourself! Q: How did you prepare for the career fair? A: I felt prepared for the career fair mainly through my senior seminar class. The Career Center came to talk to my class several different times and they helped us with what to know and what to expect. I also made appointments with a career advisor to get my resume reviewed, complete a mock interview, and search for jobs. I researched the companies that were going to be there and looked up more information about them so that I would be prepared in conversation with them. Q: What did you do to make a good first impression on the employers? A: I made sure I was outgoing and went up to the different employers to start a conversation. I was fully engaged in the conversations and asked them questions about their company and jobs, as well as asked if they had any questions for me. I left my resume with them and followed up with them afterward. Q: How did the Career Center help prepare you for this event? A: The Career Center made sure I was fully prepared prior to the career fair and I knew I could go to them for everything. They informed me about how to leave a good first impression, how to make my resume the best it could be, and how to dress professionally. I would have felt very lost without the career center’s help. Q: What actions did you take to follow up after the fair and stand out from other students who attended as well? A: After the event, I sent thank you emails to follow up with the employers. This can help them put a name with a face and remember who they talked to. I made sure to show my interest in their company, as well. This led to phone calls and interviews that ultimately landed me a job! So, Claire Neiland had her success story from first speaking to Insight Global at the Career Fair and in the end, she received a job. Just like Claire, you can have your own success story by attending our upcoming events where many employers are coming to meet you. We have our Non-Profit & Government Career Fair, and the Science, Engineering, & Math Industry Night, February 26. After that, we have our All Industry Career & Internship Expo, February 27. Finally, the next day we have Media & Communications Interview Day, February 28. All of the details are in Handshake – if you haven’t done so, claim your account today. Resumes are a must for career fairs. Need help with your resume? Stop by the Career Center any time next week (February 18-22) from 10:00am-5:00pm for a resume review with a career advisor. Employers coming to campus want to meet you and it’s a great opportunity for you to connect with them. It doesn’t matter what year you are or your major, all are welcome. Explore options and network – like Claire, you never know what can happen! It’s the morning of your big interview or the day of a career fair. You’re scrambling to find the best outfit to appear the most professional, but you don’t have anything. You’re in college so you’re probably used to wearing athletic shorts and t-shirts. Well, the “real world” has hit you and you won’t (can’t) be a student forever. Now’s the time to invest in some business professional clothing. So, what should you wear? What is “professional” attire? Here are some tips on how to dress for success and make a great first impression for the job or internship that you want! Business professional, means a business suit for both men and women. You will want to dress in business professional attire for an interview or other career related events. A blue blazer and khaki pants is NOT business professional. This outfit would be considered business casual. Business casual is typically worn in a casual work environment or work event. Women wear a dress, skirt and a blouse, or a sweater set. Men wear a button down with a sport coat. Neither should wear jeans. So how should you dress for an interview or career related events? Invest in a suit. You will always need a suit for various types of events, so always have one on hand. Make sure the suit is a neutral color like black, grey, brown or navy. Wear a buttoned down shirt tucked in with a belt. Wear a tie that compliments your suit, but not overly bright or with an unprofessional design (e.g., sports team). Pants or skirt suits. Skirt length should be at your knee. Best suit colors are gray, navy, or black. Wear skin colored hose under skirt or pants for best fit. Coordinated closed toed short heels or flats. Wear a modest blouse that complements your suit in a conservative color. To be your best, you must feel your best. So be comfortable in what you are wearing. Wear classy, but minimal jewelry (no more than 5 pieces). Shower. Clean hair and body. Shave. Clothing must be ironed, wrinkle free, and clean. What if I can’t get a suit in time? Look as professional as you can. For a masculine expression, wear a long sleeve, button down shirt with a tie, dress pants, dress shoes, and matching belt. For feminine expression, consider black or other dark color pants or skirt with a sweater set or coordinating jacket. Now that you know how to put together the perfect professional look, it’s time to put it to good use. Georgia College’s networking event of the semester, the Fall Career & Internship Expo, is coming up on Wednesday, October 3rd from 11:00 a.m. – 2:00 p.m. in Magnolia Ballroom. 40+ employers will be in attendance recruiting for jobs, internships, and summer opportunities. This is a great event to explore possible career options. From freshman to seniors in any major, all GC students are encouraged to attend and start networking. For further details on the career expo and what employers will be attending, visit www.tinyurl.com/GCFall18Expo. 6 Tips to Help You Ace the Interview and Secure the Job! Congratulations, you’ve been offered an interview! But, now what?? Here are some tips to help you ace that interview and secure the job! #1. Research the organization – Research and find out as much as possible about the organization and the person or people conducting the interview. That might mean using Google to read the organization’s mission and vision statements (hopefully you did this before applying for the position). Doing so will give you an idea of that the company values and help you answer interview questions. Another source of information would be to talk with people in your network who are current employees. They can give you firsthand information about the company and the position that you’re interviewing for. Don’t assume that you already know everything that there is to know about the company. #2. Practice interviewing– Practice, practice, practice! We’ve all heard the adage “Practice makes perfect” but this is indeed true with interviewing. Although there’s no sure way to know exactly what questions will be asked during the actual interview, practicing common types of interview questions will help. 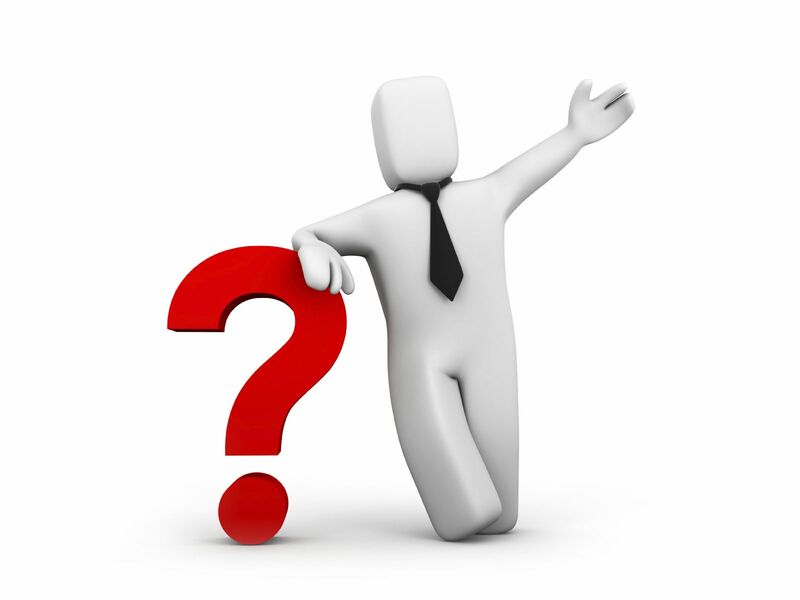 Common types of interview questions include behavior, situational or case interviews. Behavior questions are used to inquire about your past behavior in a situation or when performing a task and can be used to predict future behavior to see if you’d perform the same way in the position you’re applying for. Situation or case questions are used to see how you’d behave in a real or hypothetical situation. Be prepared to introduce yourself professionally, discuss your strengths, and weaknesses. Provide examples of when you’ve demonstrated those strengths and be sure to discuss how you’ve taken steps to improve your weakness. Practice answering questions using the STAR method (S) situation and the (T) task you needed to complete. Describe the (A) action and the (R) result. Be brief in your description. Emphasize the results or what you learned. Don’t talk yourself out of an opportunity by giving bad examples such as “I’m a procrastinator”. Avoid using fillers such as “um”, “like”, “you know”. #3. Prepare questions to ask during the interview – Have at least 2-3 questions prepared to ask the interviewer. Most interviewers conclude the interview by asking if you have any questions for them. This is your opportunity to ask the interviewer questions that you could not find the answer to prior to the interview. Ask about company culture, job duties, expectations, projects, and any other aspect that will help you make a better decision about accepting or not accepting the job. You want to show interest and engage the interviewer in conversation. Essentially, interviews are a conversation. Don’t expect to only answer questions! 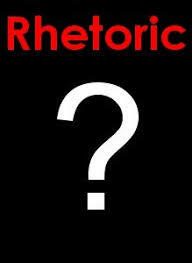 Be prepared to ask some as well! #4. Dress for Success –It’s very important to groom before the interview, therefore shower and wash hair the morning of the interview. Avoid flashy items (clothes or jewelry) that jingle, or dangle. Remove piercings that may cause an interviewer to judge you unfairly. Avoid strong colognes and perfumes. Don’t underestimate the importance of professional attire. It’s always better to be over dressed than under-dressed. #5. Plan to arrive early – Make sure you arrive 15 minutes early. Allow yourself time to find the location of the interview and to become acclimated without feeling rushed. Don’t arrive late for the interview! Being late makes the wrong first impression! #6. Smile – Show your pearly whites; smile and let your personality shine! Did you know that appropriate hand gestures (handshake), positive facial expressions (smiling), body language, and eye contact are all just as important as successfully answering interview questions? 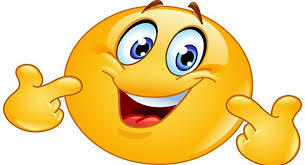 Smiling shows confidence, enthusiasm about the opportunity and helps to create a pleasant environment. Don’t forget to smile! Career Center staff can help you prepare for your upcoming interview. Schedule a mock interview appointment through Unify or use InterviewStream to virtually practice interviewing from the comforts of your home! An advisor can review your virtual interview and provide feedback to assist you. As the Public Relations Intern at The Medical Center, Navicent Health, I met a variety of people and used written and visual platforms to capture their stories. Most days I walked around the hospital in a bright red lab coat with a camera hanging around my neck and a notepad in my pocket. The Who: My supervisor, Megan Allen, was the best, and while I’m sure many interns claim that title for their bosses, I can prove mine actually was the best. On my very first day, she took me along for interviews and meetings–patiently explaining things and answering my questions. Throughout the first week, she helped me discern how to use my skill set within the department in a way that I could both enjoy and learn from. Megan helped me grow as a mass communication professional instead of just treating me like an intern. By giving me the freedom to work on my own projects while critiquing and praising my work, she made my internship a valuable part of my post college journey and gave me a model to aspire to. The What: I have a passion for storytelling. My primary job at Navicent Health was to find and capture the stories of our staff, patients and volunteers. During my internship I created a network of contacts of staff who worked in the medical areas of the hospital. Those contacts helped me locate individuals interested in sharing their stories and experiences with our department. The journalism training I received while studying at Georgia College prepared me for this. After finding the contact info for an individual I wanted to speak with, I scheduled a time to interview him or her. Then, I either filmed the interview for a video or wrote an article to accompany a photograph of the person. I enjoyed this job for two reasons. When interviewing a staff or volunteer, I was able to encourage them and reinforce that what they do matters. When interviewing a patient, I was given the honor of sharing in his or her pain and joy. I noticed that there was generally a combination of sadness and happiness when patients shared about their health journey, but they also were eager to thank the personnel who cared for them. Mass communication, when done right, can be a force that brings people together. I got excited every time one of my videos was published on our social media. Interning at Navicent Health gave me a variety of experiences and a new network of contacts. I feel like the work I did helped the public understand that hospitals weren’t always scary places. Navicent Health is a place where compassion and care meet, and I enjoyed helping share that message. I loved what I did at Navicent Health. I saw my internship as a way to encourage and care for people in a unique way. I found out about this internship opportunity through emails sent out by Dr. Land, and then contacted the Georgia College Career Center to process my internship paperwork. I recommend that all students visit the Career Center for help with their internship and career related needs. Bobcats In The Field: Graduate Gives 5 Tips for Navigating the Interview & Job Acceptance Process-Keep Your Seat Belts Fastened! I hope you didn’t unfasten your seat belts! 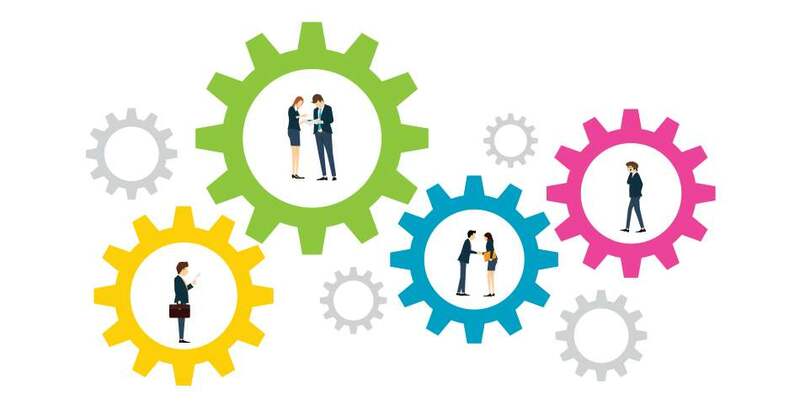 Sara Stanton is back to finish navigating us through her job search process with 5 helpful tips on interviewing, juggling job offers and researching company culture. Sara, now a recent graduate of the Rhetoric program here at Georgia College, recounts how she juggled multiple job offers and landed her job with Altitude Business Group (Family Heritage Insurance) in Denver, Colorado. Fasten your seat belts! I probably applied for about fifteen jobs (side note: from what I’ve heard, this is very low, but because I gave myself so much time, I was very picky about what I applied for…not to mention, cover letters are very tedious…), so I went through the full interview process with 2 jobs. The first job was a Director of The Fund for Equality (Human Rights Campaign) Denver; this interview process was pretty typical. It look a little over a month. First, I had a screening interview over the phone with another director. From my experience, phone screens are really in place so they can tell you more details about the position of the job, make sure you’re serious about the position, and answer any questions you may have about the interview process or position. The key here is to be enthusiastic; remember you’re on the phone, so you’ve got to pay attention to the way you sound (it helps to smile). From there, I had a phone interview with an executive member of the organization; this was definitely more traditional. They asked me personality questions, scenario-questions, and I had the opportunity to ask them questions too. Tip # 1– ALWAYS ask questions! I had a list of 5-6 questions to ask the interviewer about the job/company/etc. It tells them that you aren’t just interested, but you’re eager, you’re curious, you’ve done your research, and you care about the company. Lastly, I had a Skype interview with the gal who would be my direct boss. She asked me more job-specific questions (so, scenarios that only a director would have to deal with/be part of), and then clarified the nitty-gritty details of the position (like salary). Again, ask questions if you are given the opportunity. Tip #2 – If you have a video interview, make sure you are in an appropriate location! Don’t have your bed in the background and make sure there is are no distracting noises. After this interview, they called me a few days later and offered me the position; I asked for an extension to accept or decline, so I had two weeks to give them my final answer. I worked part-time for this organization during all of December break in order to, one, get my foot in the door, and two, see if it was the right fit for me! This was extremely beneficial in the interview process because I could give examples that came straight from my experience working in the company, and they had insight into who I was, how I worked with others, and how dedicated I was to the organization. Tip #3 – If you have ANY opportunity to volunteer, intern or work part-time with a company you’re interested in, I would highly recommend doing it! It helped me to make my final decision when accepting a job. The second job was a Sales representative for Altitude Business Group (Family Heritage Insurance) Denver; This interview process was a little less traditional; it only took two weeks. I applied for this job on a Sunday and got a call to have a phone screen, which we ended up doing on the spot, on Monday afternoon. After the phone screen, which was similar to the one I mentioned above, I had an interview with the President of the company about a week later. Before this interview, I had to watch a 40 minute video about the company, the job, and lots of nitty-gritty details about everything! After watching the video, I had to fill out a pretty detailed questionnaire/worksheet of basic interview questions to send back to the President before we spoke; my answers were then used as part of my phone interview with the President! The really cool thing about this was that the video and worksheet required me to really think about myself, the position, the company, and why I would be a great fit/how I would succeed/where I would struggle/etc. It was very helpful when the real interview happened! The phone interview with the President lasted for about an hour and fifteen minutes; we discussed most of the questions I had answered on the worksheet, and then any questions I had about any details that had been covered in the video or during the interview. The President called me back the next day to offer me the position, and I accepted! Tip #4 – Do NOT feel like you have to accept your first job offer just because you don’t have anything else on the table at the moment! A little more info about job acceptance…so I actually had to juggle these offers at the same time. I was offered the job with The Fund for Equality right before I applied to work for Altitude Business Group (ABG). Because I had worked for The Fund during December break, I knew that it was a job I could absolutely do, but I also knew that it would be a very stressful, very time consuming position for very little pay. 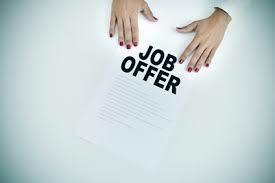 I kept it in the cards in case nothing else came along, but when an opportunity arose to interview for another position, I asked for an extension to accept or decline my offer. I ended up getting a job offer from ABG on the final day of my extension with The Fund for Equality. I bring all of this up to say It is SO important to listen to your gut- if you aren’t that excited about an opportunity, it is okay to say no. You gained interview experience, negotiation experience, and you’re giving yourself an opportunity to find something better suited for you! Tip #5 – I highly recommend checking out the “About Us” section before applying to work anywhere! Something that I kept in mind throughout all of my job searching was that I wanted to work for a company or organization that aligned with my values. Basically every place you apply for will have an “About Us” section on their website, and within that section, they’ll most likely state their company’s mission statement and/or core values. 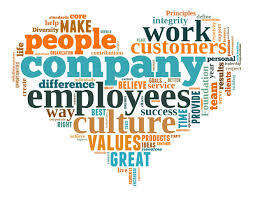 A lot of times, we are so pressured to get on with the job search and find something as soon as possible, but we have to remember that these companies are made up of the people we will be surrounding ourselves with every day, and we want to make sure we are right for them and they are right for us! I accepted the job that I did because from the information about company values and through speaking with recruiters and the President, I could tell (and was told) that I would mesh really well with everyone I was going to be working with. You want to represent a company that could also represent you and who you are! Contact the Career Center for all of your job search and interview needs. Appointments are available all summer! Bobcats In The Field: Fasten Your Seat Belts and Take A Ride On This Student’s Job Search Roller Coaster! Think the job search process is easy? For some that may be so, but for others like Sara Stanton, the process isn’t always cut and dry. Sara, a graduating Rhetoric student here at Georgia College, recounts how she landed her job with Altitude Business Group (Family Heritage Insurance) in Denver, Colorado. Not only will you see that major doesn’t always equal career, but she has some pretty great advice. Fasten your seat belts! How was your job search experience? I’m sure you’d all love for me to answer this with, “it was awesome! !” but we should be realistic here- the job search is not all fun and games! It was definitely a roller coaster of emotions. In terms of the not-so-great, sometimes it was frustrating to go through hundreds of jobs online that seemed to all want years of experience. Oh, and don’t even get me started on cover letters! However, there were always a lot of exciting moments- I loved when I would come across a really cool position or get stoked about the potential to work for a particular company or organization. I would always call my parents or friends to tell them about opportunities that I was pumped about, and then they would be excited for me too! Those were the moments that helped me get through the more tedious times. I actually started job searching in October of 2017- the first semester of my senior year. I know it seems really early, but I would not change a thing about jumping the gun on the job search- if anything, I would have started earlier. Starting in October gave me an ample amount of time to search, write cover letters, change up my resume, or do extra research on companies that I was interested in, and best of all, I had a job offer by the beginning of January! What types of jobs did you apply for? Ah, the question every Rhetoric major a GC gets: what the heck are you going to do with that? Have no fear my fellow Rhetoric majors (and everyone else- yay liberal arts! )- there are SO many opportunities out there for you! I applied for a plethora of positions. I have experience in the nonprofit world, so I applied for a lot of positions with different nonprofits such as The Fund for Equality and Impact. In these organizations, I applied for director positions or field manager positions. Outside of the nonprofit spectrum, I applied for admissions counselor positions at a few universities, human resources positions, and sales positions! If you read anything on this blog post- read this section!! I did all of my job searching online. I used websites like Indeed, Monster, WorkForGood, and Idealist. I found the most success on Indeed and Idealist (Idealist = the nonprofit version of Indeed). The best part about these websites was that you can save jobs to your account. As I mentioned before, I started my job search at the beginning of October, but I didn’t actually apply for a job until Thanksgiving. I really enjoyed using these websites to do a ton of research and really narrow down what I was most interested in pursuing. I highly recommend taking the time to learn about these sites, how to use them, and putting that knowledge to use; this made the job search much easier for me. In terms of time, if you start in your first semester of senior year, I would give yourself a few hours a week to work on searching/resumes/applications/cover letters. I don’t think people realize how time consuming it all is. I am fortunate enough to work for TapRide at GC, so if I wasn’t on call last semester, I was working on finding a job when I was at the office! I will also add- I never touched LinkedIn to search for jobs, but I know some people really love it and benefit from it. If you love LinkedIn and know how to use it, go for it, but if you don’t, you can easily get connected in similar ways (or sometimes even more directly) by using the search engines I mentioned! If you want to learn how to use LinkedIn- go to the Career Center! They are so helpful in teaching us how to utilize it best! In the end, I probably applied for about fifteen jobs (side note: from what I’ve heard, this is very low, but because I gave myself so much time, I was very picky about what I applied for…not to mention, cover letters are very tedious…), so I went through the full interview process with 2 jobs. Stay tuned and look out for our next blog post to read more about how Sara navigated through the job search process to juggle multiple interviews and job offers! Think internships are just about shuffling papers and answering phones? Think again! 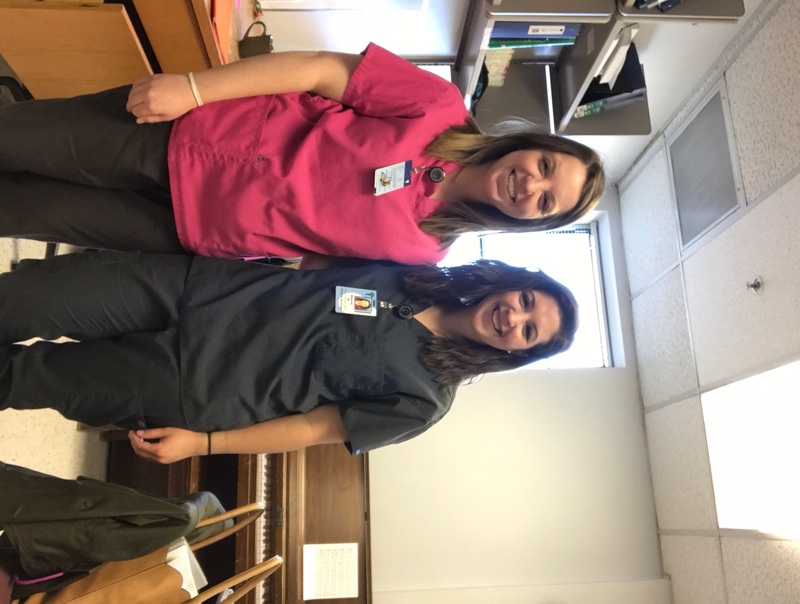 Hear the story of Malorie Morris, a senior Music Therapy student who is currently doing an internship at Palmetto Health in Columbia, South Carolina. You’ll see that not only does she make a difference in the lives of others while earning college credit, but she’s doing what she truly loves. Read more about her internship experience and advice on how much internship experience matters. Job Duties/Responsibilities: My internship is part of my course requirements for a music therapy degree. All music therapy students nationwide are required to complete a 6-month internship with supervision from a Board-Certified Music Therapist in a setting of our choice. At Palmetto Health, I get the opportunity to work with various different populations, including NICU babies, medical patients, and behavioral care with both adolescents and adults. 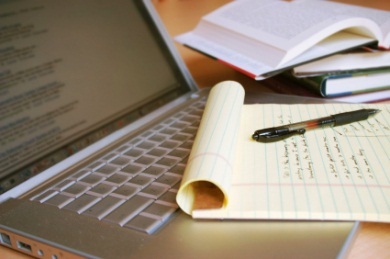 A typical Day: A typical day consists of computer documentation, writing in treatment plans, planning for sessions, practicing music skills, and leading both individual and group music therapy sessions. My current rotation consists of adolescent behavioral care, medical referrals, and NICU babies. In mid-April, I will begin my second rotation, which includes adult behavioral care and medical rounding. I spend a lot of time during the day planning and preparing for each of my sessions, which usually last anywhere from 20-45 minutes (depending on whether it is individual or group). For each patient I work with, I do a complete initial assessment to determine specific short-term and long-term goals. All of my interventions revolve around their individualized goals, so each session incorporates the things that they need to accomplish. For the adolescent behavioral care, my session typically revolves around positive coping skills, finding new outlets for expression, and helping them make personalized goals for themselves. 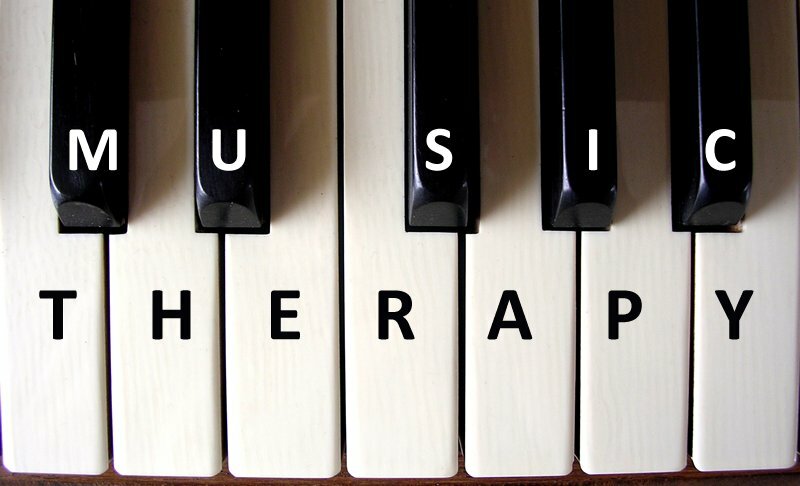 In the music therapy groups, I use various interventions. A few examples include musical games, drum circles, keyboard improv, or lyric analysis to address these needs. For the medical patients, the goals are a little different – usually encouraging positive distraction or pain management. This is done through music guided relaxation, therapeutic singing, instrument improv, or songwriting. Favorite part of the internship: Getting to work with so many types of people! Every day is completely different, and you never know what to expect. The people we have the privilege of working with are ever-changing, and day-to-day their needs may be different. I love challenging myself to work with people who I never have before and pushing myself to try new things. I love seeing the effect that music has on each of the patients, no matter their situation. The teenagers love using music as a way to get their frustration and emotions out, and it’s amazing to see how it helps them build connections with each other. For the medical patients, I love being able to use music to help them deal with their pain/anxiety during a rough procedure or witnessing the profound effect it has on their emotional well-being (and their families!). Music transcends culture, age, gender – everything. It is flexible and adaptable to each situation, and I love that I get to have an internship where I get to tap into this power every day. Most challenging part of internship: In music therapy, people are both the best thing about it, as well as the most challenging! I have definitely seen this to be true throughout the internship. Just as I mentioned before, the people we work with are always changing day-to-day. Especially the teenagers in behavioral care – their moods are never stable! Working with them has probably been the most challenging aspect of the internship because even the best-planned interventions can go awry as soon as you enter the room. I have had to learn to how to be more flexible/adaptable to their needs in the moment and to give them the kinds of expression that they need. My supervisor is always reminding me that people come to their hospital at their very worst – they come in with all sorts of baggage and histories that are unimaginable. That is both the challenge and the privilege of getting to work with them. 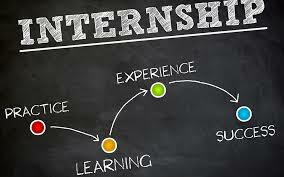 Why internship experience matters: Internships matter because it gives you the chance to see what it is like in your future profession while you still have guidance and supervision along the way. It is the time to test out the waters – to figure out whether or not this is the right career path for you. If you get into and end up hating it, now’s the time to know! It can be a source of direction to help you find something else. And if you get into and love it, then it’s a chance to figure out who you want to be as a future professional, and how you want to identify yourself. It gives you connections and resources, and it gives you the opportunity to find out more about yourself and to grow in ways you never thought possible. Advice to students seeking internship opportunities: Don’t limit yourself! When I started putting in applications, I didn’t want to stray from the “safe zone”. I wanted to apply to places that I was comfortable with, and that I knew I had a chance at. When I started pushing myself to apply to places that I thought I would never get into, I was shocked when I was accepted. I think a lot of my classmates can also attest to this. Put yourself out there, even if you think you don’t have a shot. You might be surprised at all the opportunities that come your way if you’re willing to step out of your comfort zone and give yourself a chance to succeed. How has the Career Center helped you succeed? : The Career Center has helped me succeed by giving me the chance to talk personally with an advisor. I have been able to come to her time and time again with any concerns or worries, and she has helped me to sort through it and find practical solutions. I have had individualized assistance with my resume, looking at post-grad opportunities, and finding the tools and resources that will be most beneficial to me for my career path. The career center has provided me with a wealth of knowledge and support – from resume and cover letter examples, LinkedIn profile checklists, to interview tips. They have truly gone above and beyond to make sure that I have connections and resources to reference as I enter the professional world. Need Career Direction? We have an App for that! Do you want to be an Intern? Attending a career fair can be intimidating, but the Career Center has got your back! Job Search Strategies: How to Land Your First Job !